Located 90 miles north of Baghdad and covering 4.0 square kilometers, this is the largest and most elaborate of the presidential sites. 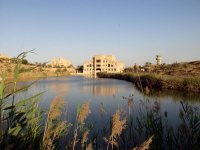 In addition to palaces and VIP residences, the site also included farms and rural retreats for VIPs located farther to the west. 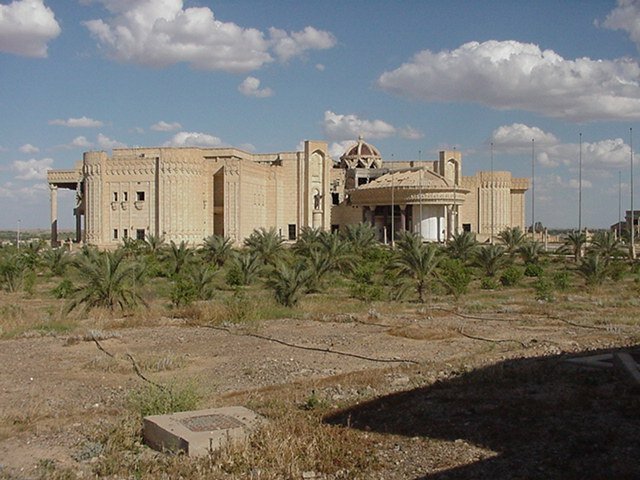 Construction at the Tikrit Presidential site started in 1991. 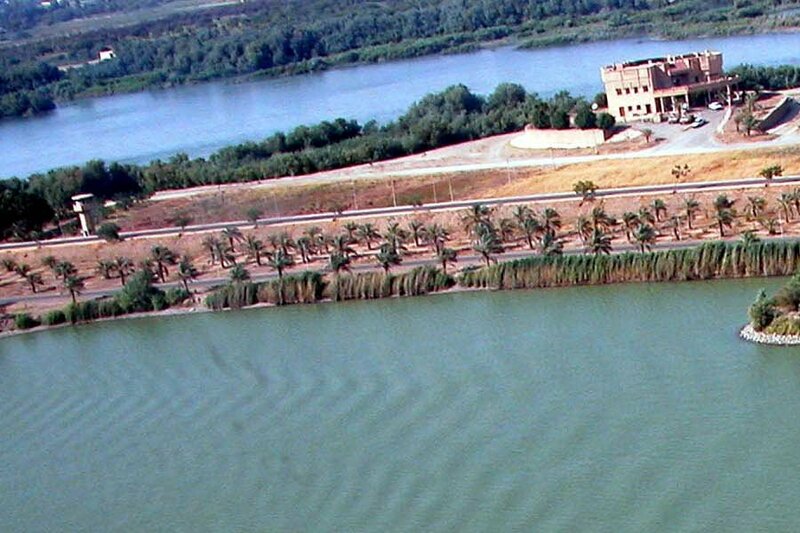 The old palace of Baiji is also located in Tikrit. 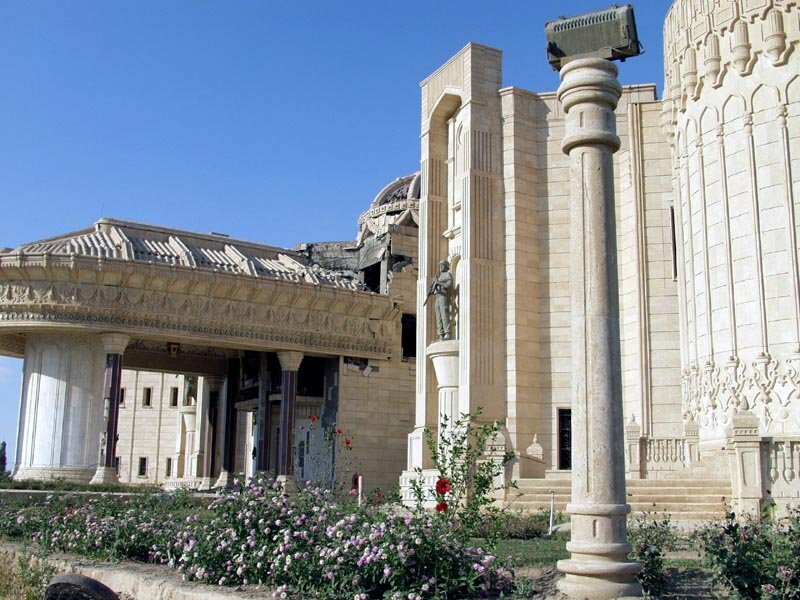 The special group of UN Special Commission for Iraq (UNSOM) weapons inspectors, diplomats and representatives of the International Atomic Energy Agency (IAEA) completed its initial inspections of Iraqi presidential sites on 02 April 1998. It took eight days to complete the so-called baseline inspections of the presidential sites. 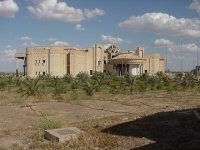 Access to these sites, which Iraq had declared off limits to the United Nations, was granted only after Secretary General Kofi Annan signed an agreement with Iraqi President Saddam Hussein during his visit to Baghdad, which allowed UN weapons experts, accompanied by a special group of "diplomatic observers," to inspect the compounds. Unfettered access to these and other sites was one of the conditions that neede to be met to complete the weapons inspections and ultimately lift UN sanctions. All eight "presidential sites" visited appeared to be well defined by high walls or fences. 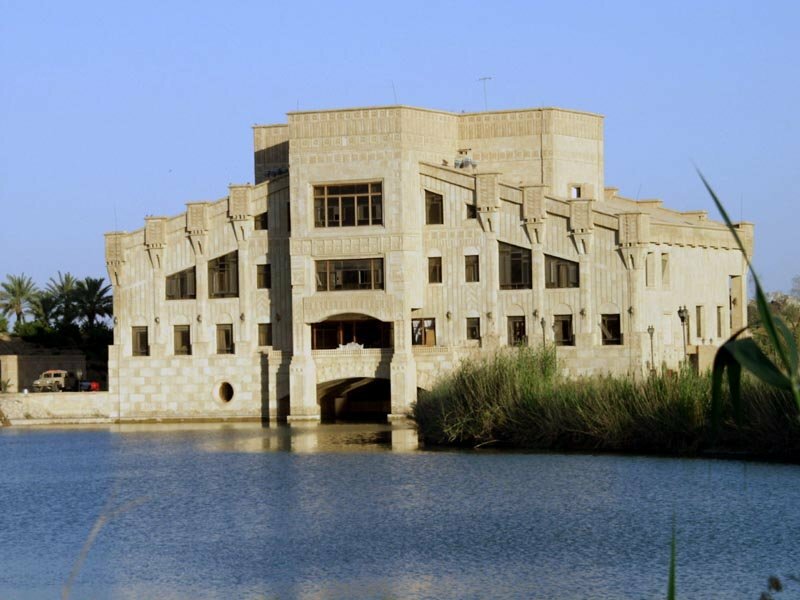 They all had a rather similar landscape pattern: main guesthouses, with an integrated system of ancillary buildings and villas for accompanying dignitaries. 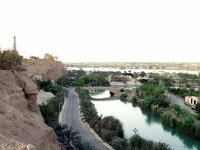 Often an artificial lake with small artificial decorative islands located in a way to give access to the lake from each guesthouse. 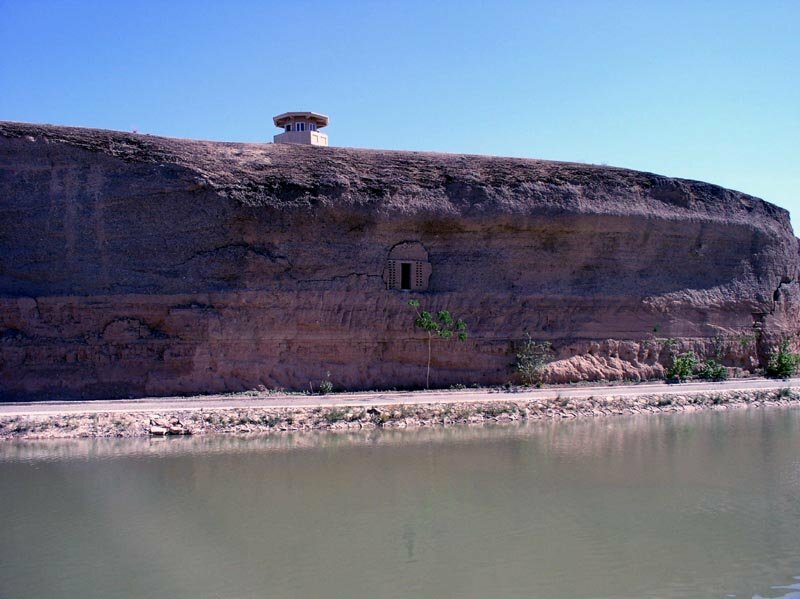 The mission was not intended to be a search for prohibited material and none was found. In fact, there was very little equipment, documentation or other material in the sites at all. It was clearly apparent that all sites had undergone extensive evacuation. 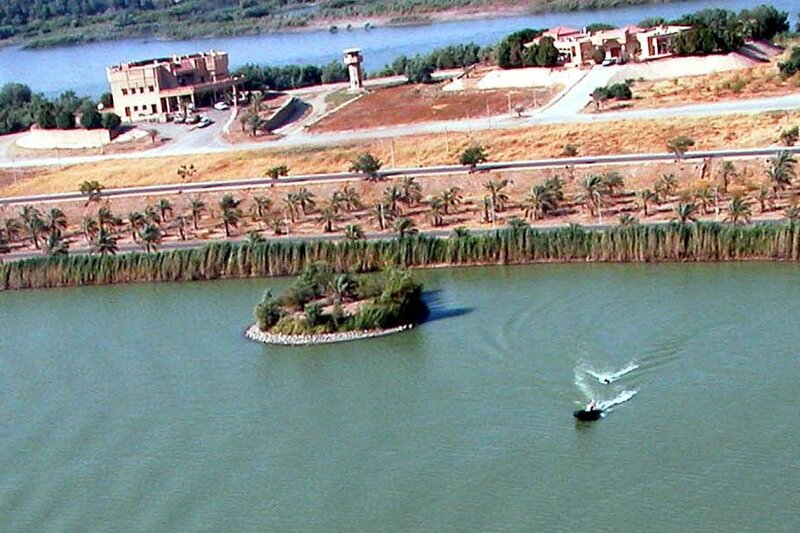 In all the sites outside of Baghdad, for example, there were no documents and no computers. 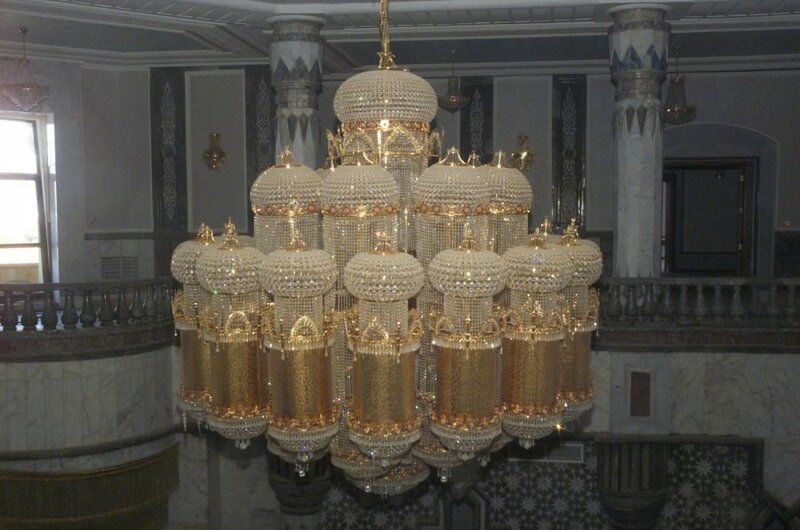 The buildings were largely empty. A key accomplishment of the mission was to plot more precisely the boundaries of the presidential sites. 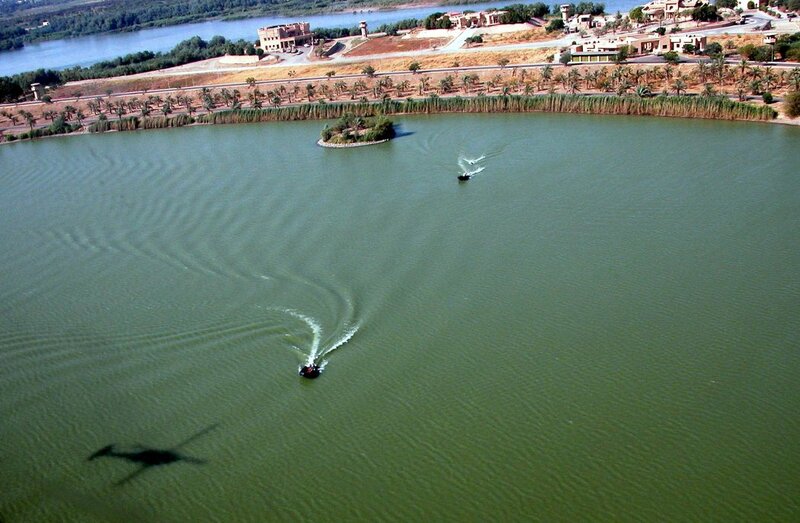 The Special Group proceeded by road in a journey of over three hours to the Tikrit Presidential Site on 28 March 1998 and completed its visit on the same day. 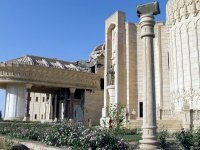 Necessary adjustments with regard to the survey of the boundaries were raised and clarified at an early stage of its visit, illustrating that the experience of the previous visits had proved beneficial. Consequently much time was saved. 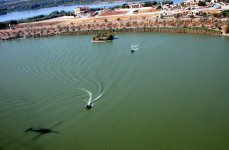 No difficulties were encountered with regard to aerial photography or the use of GPS instruments. Taking of photographs on site where a soil sample has been taken was objected to at first, but after discussion acceptable arrangements were made. 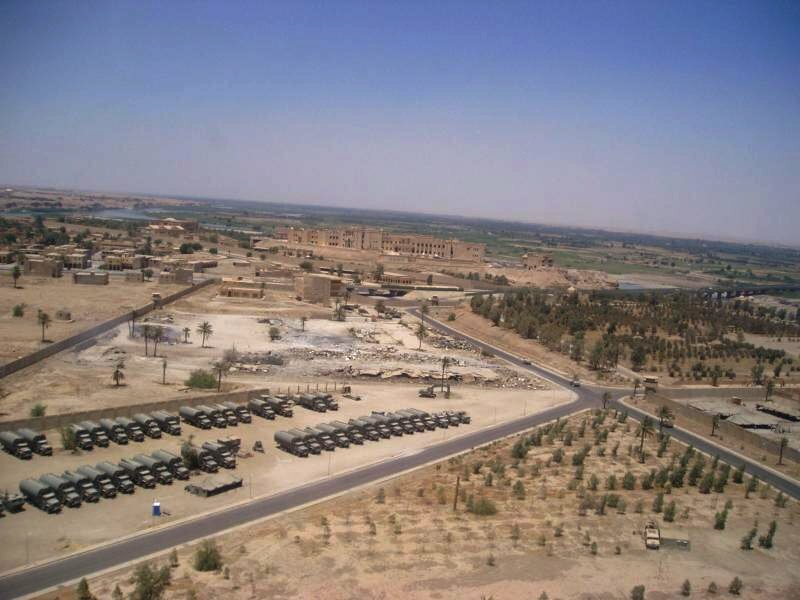 Camp Ironhorse, also called Forward Operations Base (FOB) Ironhorse, was home to a portion of 4th Infantry Division while they were deployed to Iraq in support of Operation Iraqi Freedom. 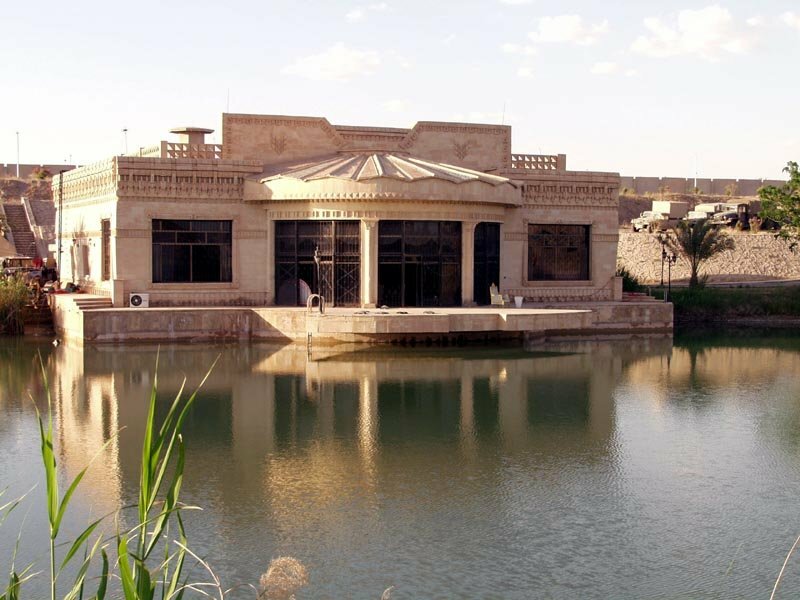 With many units occupying the former palatial grounds of Saddam Hussein, some type of identification was needed to distinguish units and show their locations. The 1st Battalion, 44th Air Defense Artillery Regiment from Fort Hood, Texas, was tasked with providing force protection for the combat brigades of the 4th Infantry Division. 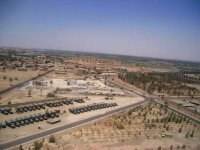 The 1/44th was responsible for several force protection improvements at Camp Ironhorse, Camp Speicher, and around the city of Taji. Camp Ironhorse improvements included fortifying the front gate with additional layers of concertina wire and extra bunkers, as well as implementing an alert system for the compound. Other force protection measures implemented included patrols and raids that resulted in the capture of over 80 enemy Prisoners of War and destruction of four tons of enemy ammunition. 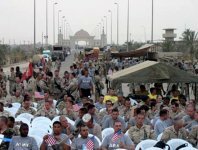 The 502nd Engineer Company soldiers patroled the Tigris River as part of their normal duties. The soldiers and their boats were from the 502nd Engineer Company (Assault Float Bridge) from Hanau, Germany. Assigned to Task Force Ironhorse, their job was to ensure the compound was safe and to maintain a military presence on the river. 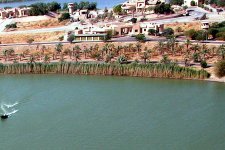 Typically the engineers build float bridges, but that has changed as infantry units have secured bridges throughout Iraq. When most of their float bridge missions were complete, they focused on protecting the west side of Camp Ironhorse, where elements of the 4th Infantry Division were staged. The cliffs that rise up out of the water 200 feet or more were the biggest concern. The security agenda prepares soldiers for the three-phase Quick Reactionary Force [QRF] detail. 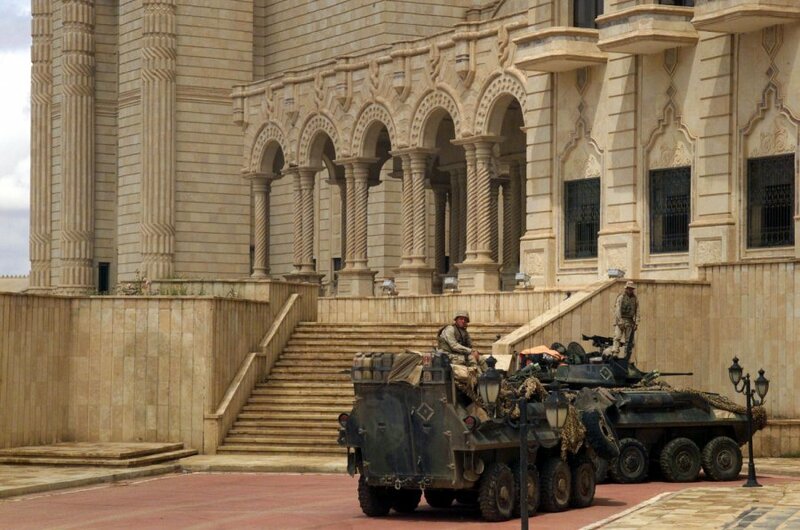 Each shift is eight hours and consists of the guard towers, slow reaction force (SRF) and the QRF. Phase one is perimeter guard. Soldiers pull an eight-hour shift in the towers around Camp Ironhorse. There are always two soldiers in each tower on duty at all times. They are the eyes that see everything that goes on outside the compound. 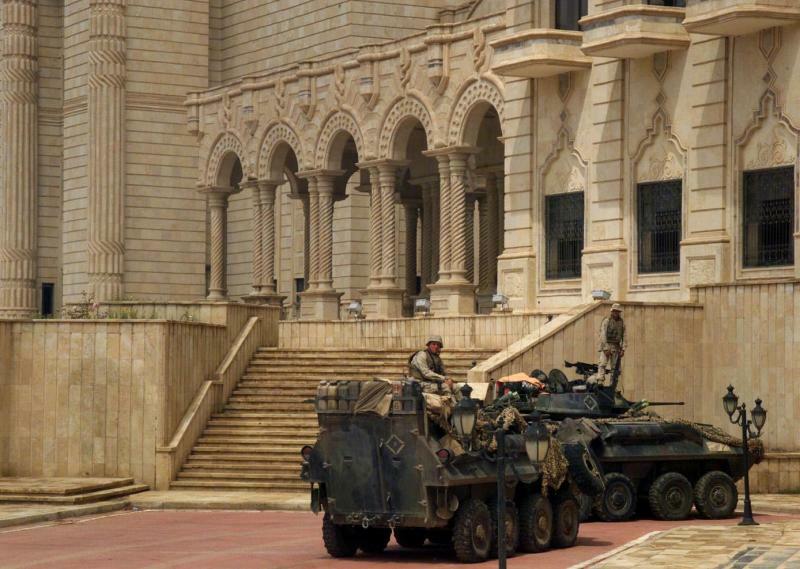 Soldiers remain vigilant in the towers; they report mortar rounds and rocket-propelled grenades fired at the compound. They also report Iraqis trying to infiltrate Camp Ironhorse. Usually, they see guys trying to scale the walls, crawl through the swamp near Tower 3 or just hang around looking. 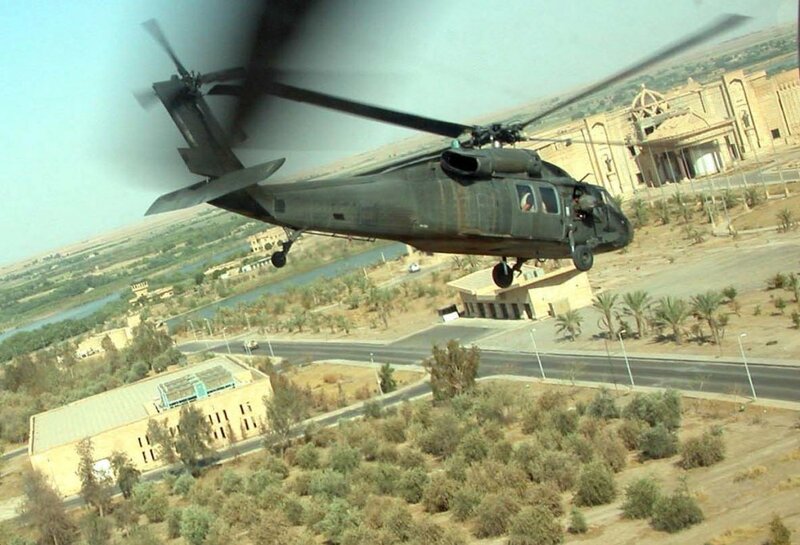 When a soldier calls in that he has seen movement outside his guard tower, the QRF portion kicks in. The QRF has five minutes to get their gear on and get to the location where the trouble is. The QRF performs many fast-paced force protection measures. Between the guard tower shifts and the fast-paced action of the QRF, is a slow time that allows the members to relax a little bit. During SRF, soldiers can do laundry or read a book before they return to the accelerated QRF segment. 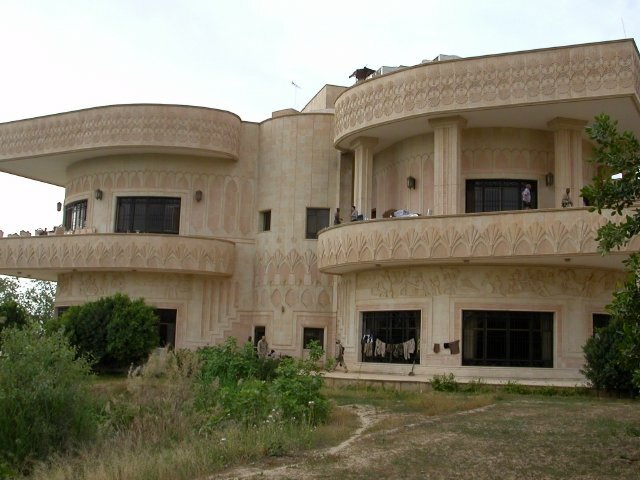 Soldiers' Inn at Camp Ironhorse in Tikrit, opened its doors as an R&R center. For soldiers living and working on Camp Ironhorse, the Soldiers' Inn is a unique gathering place. 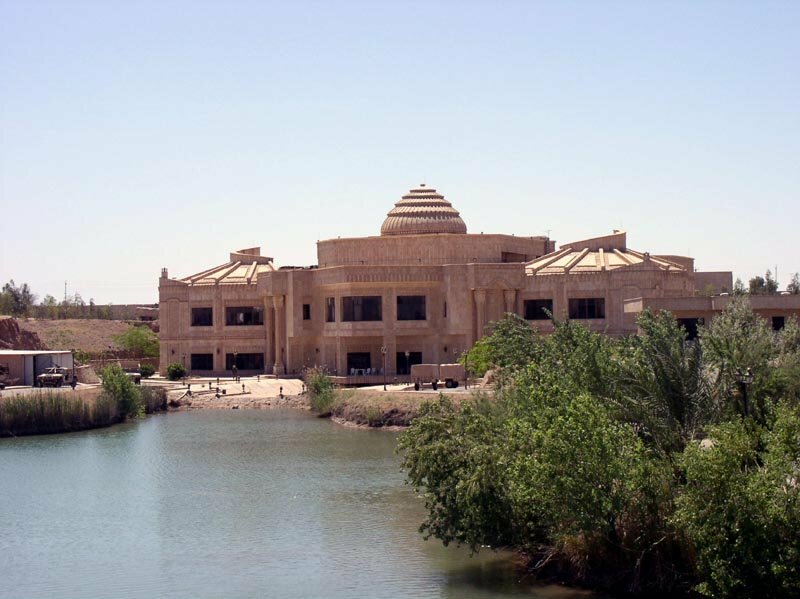 The large palace offers an assortment of activities and services for local soldiers. 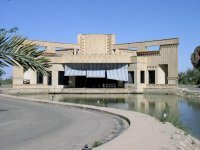 This multi-purpose facility also has a stage and has hosted a special live performance by U.S.A. Band Express. The music group is made up of soldiers who volunteer to travel overseas and entertain deployed service members. Members audition and must be selected for the group. The seven members of the band are all junior enlisted soldiers and are stationed across the U.S. and overseas. The band plays a variety of music from R&B to country. 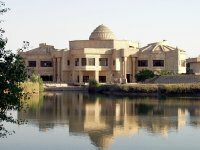 The Tikrit headquarters features a single palace dedicated to Morale, Welfare and Recreation that 4th ID used for rest and recuperation. 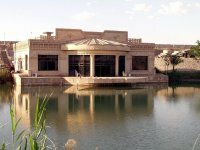 It includes a marble-decked indoor swimming pool, a huge exercise room, a movie theater, a rug store and a fleet of bicycles. The 449th Postal Company, an Army Reserve unit from Brevard, N.C., operated the mailroom at Camp Ironhorse. Every day they take on a monumental mound of mail, but they don't work alone. They get additional help from mail clerks assigned to units within the 4th Infantry Division. According to Stroud, the 4th ID, on an average day, receives four 20-foot military vans of mail. Camp Ironhorse alone gets a two-and-one-half-ton truck packed full of letters and packages. 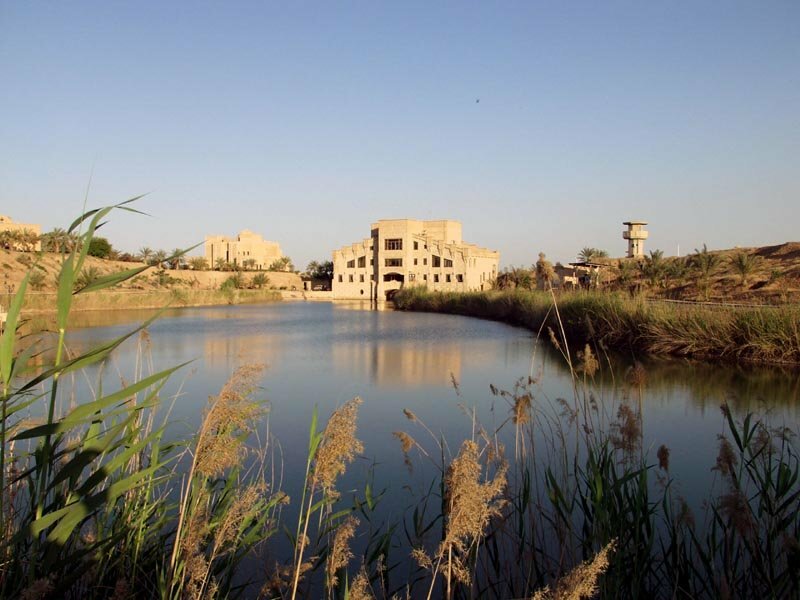 The 64th Corps Support Group was responsible for water production for Task Force Ironhorse, and the soldiers of the 62nd Quartermaster Company from Fort Hood, Texas, purify and supply soldiers living in the Tikrit, area with the rest of their daily water requirements. 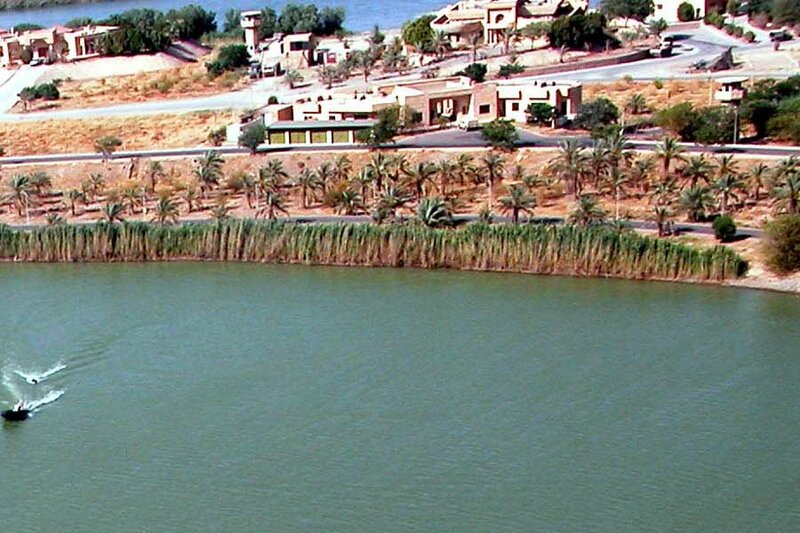 They pulled water out of the Tigris River and ran it through its Reverse Osmosis Water Purification Unit (ROWPU.) The total dissolved solids are eliminated during this process. To be safe, the water is purified again and chlorinated when it is sent to the bladders. For extra protection, the Army has its water purification specialists treat the water buffalos or semi-trailer mounted fabric tanks when the water is added. The 124th Signal Battalion's Charlie Company was extremely busy in supporting the entire division with communications and a soldier from the company can be found just about everywhere. In June 2003 the company relocated the Large Extension Node [LEN] platoon along with the Division Main moving to a new location here on Camp Ironhorse. The move was accomplished with a lot of hard work from the soldiers and minimum downtime to the users. 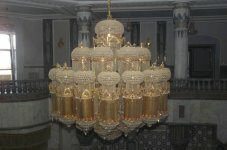 The LENs new location has more than 250 luxurious rooms with marble columns and stairwells and ceilings that are hand carved and painted. This makes it much different from being on the ranges at Fort Hood. 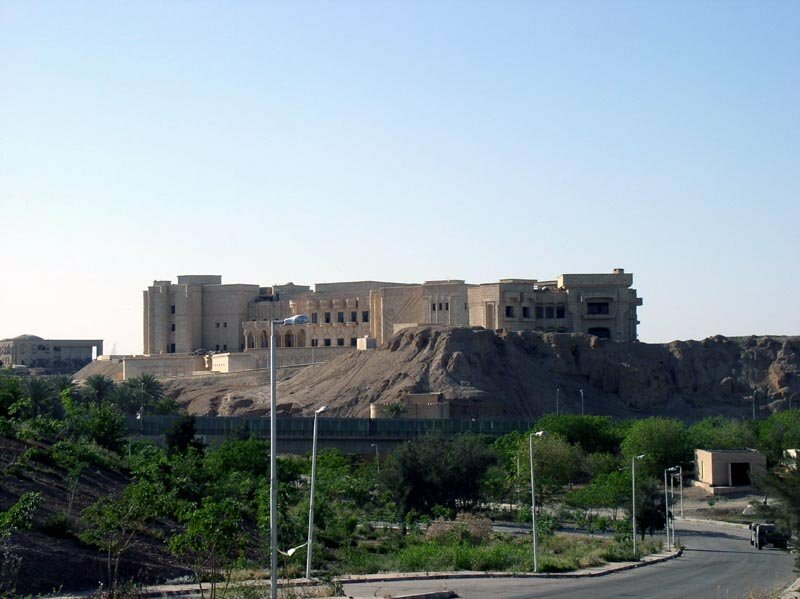 The 299th Engineers Battalion in Tikrit was stationed in a dramatic series of huge buildings that were only half-finished before the war halted the construction. With their soaring arches and exposed brick surfaces, they look like Crusader castles. 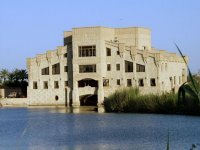 The 4th Infantry Division made one of the palaces a refuge for U.S. military personnel. About 500 soldiers and airmen come through the center weekly. They get to sleep in beds, eat good food, swim in a reconstructed pool, use the Internet, call friends and family in the United States and have no one shooting at them. Camp Ironhorse was re-designated FOB Danger when the 4th Infantry Division departed. 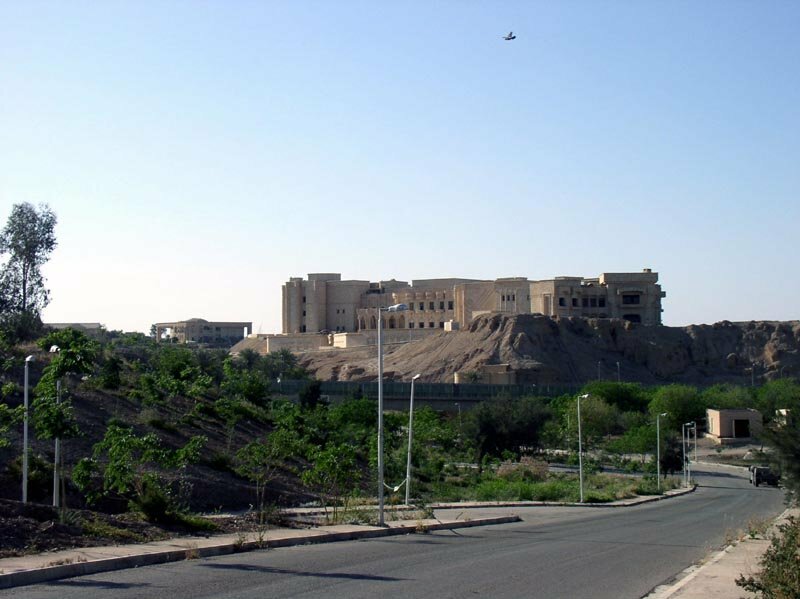 This base was then under the control of the First Infantry Division. 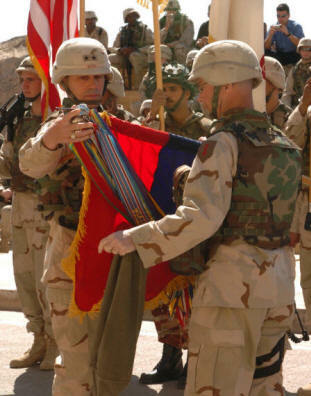 The Big Red One officially assumed command during a transfer of authority ceremony 16 March 2004. 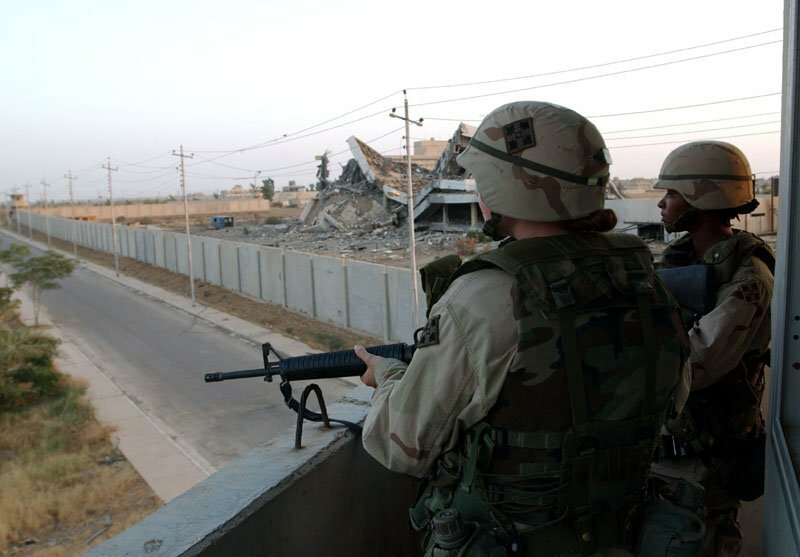 More than a decade after leading the charge into Iraq during Desert Storm, the 1st Infantry Division returned to the region to begin another chapter in its rich history. For many Soldiers, a deployment to Iraq may mean long work days in a hot and dangerous environment. 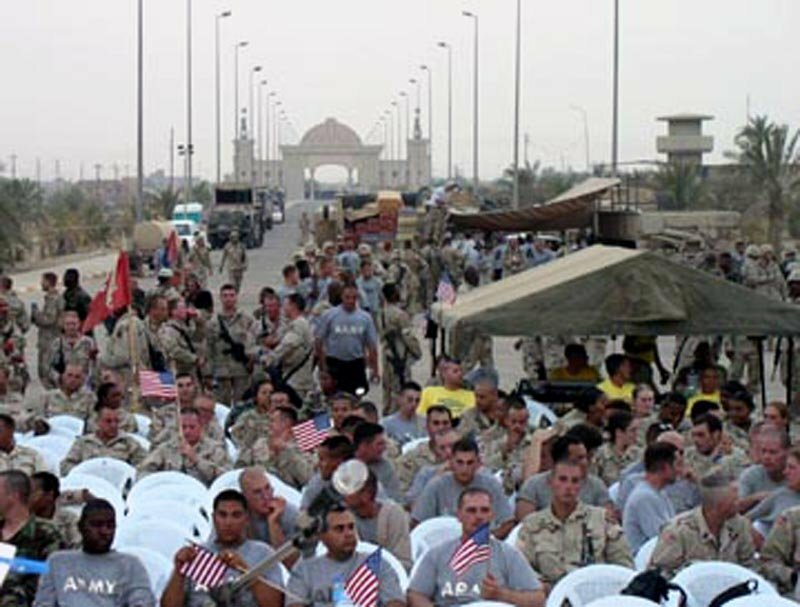 But the Morale, Welfare and Recreation Center on Forward Operating Base Danger gives the troops, including those visiting from other FOBs, place to unwind during their precious free time. 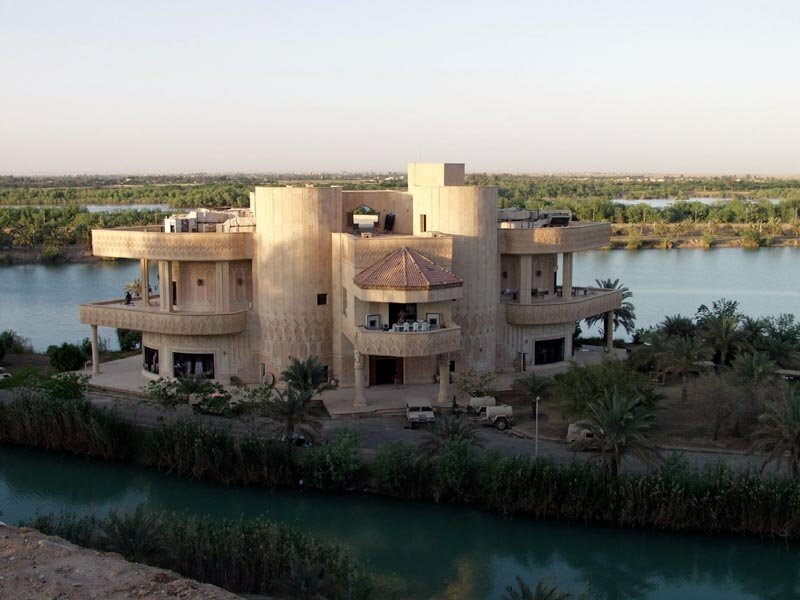 The MWR center offers a variety of activities and entertainment for soldiers. For the fitness fanatic, the palace gym has a full weight room with stationary bikes and punching bags. Additionally, the gym offers "Thai boxing" classes every Thursday night at 1900 and step aerobics and kickboxing classes Monday, Wednesday and Friday at 0600. Fitness aside, the MWR has a sports bar, an internet cafe and a movie theater. The sports bar features two big screen televisions, billiards tables, a bar stocked with snacks and beverages, and a "Music Night" every Friday, Saturday and Sunday from 1930-0100. The movie theater shows three movies a day, the internet cafe has several video game systems and computers for soldiers to check their e-mail. The bazaar sells CDs, DVDs, clothes and other souvenirs. Soldiers living on FOB Danger say they are happy with the range of services the MWR center provides. Officials at the center constantly search for ways to help soldiers in the combat zone relieve stress. Nolen Andrews, MWR coordinator, believes he might have found the perfect solution: Comedy. On 02 April 2004, he hosted the initial "1ID Comedy Jam," an open microphone comedy competition for amateur comics. 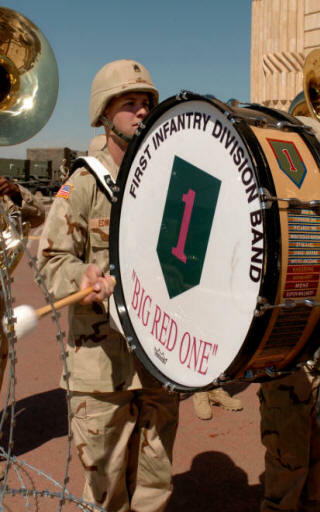 The journey for the 1st Brigade of the 4th Infantry Division began when they arrived at Camp Pennsylvania in Northern Kuwait to prepare for the trip north. 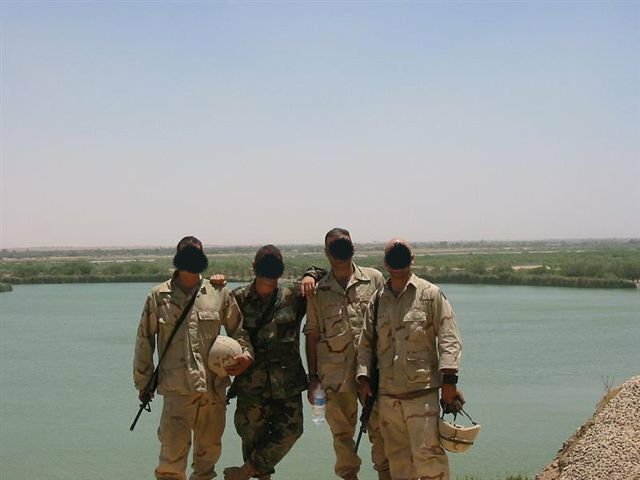 Once ready, they conducted a 4 day, 500 mile movement north through Baghdad and then onward to Tikrit. It was a long and difficult journey but, as expected, the soldiers performed magnificently, arriving with no loses or injuries and ready to conduct operations. 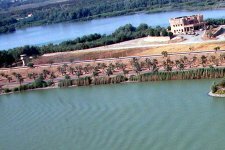 Upon arrival in Tikrit in the first days of June 2003, they moved directly into their base camp, which came to be called "Camp Raider". It is a former Ba'ath Party guesthouse that is laid out like a small hotel, but they weren't able to enjoy the accommodations. 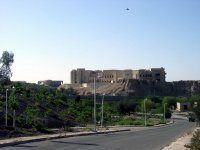 The buildings had no power or water and had been damaged in the fighting before they arrived, so for the first couple of weeks they lived in garages and various out buildings. Besides that they had a job to do. They immediately set up the Brigade Tactical Operations Center and got down to the business of Commanding and Controlling the Brigade. The first week of September 2003 was particularly hectic with the selection process of the new Salah Ad Din regional government. 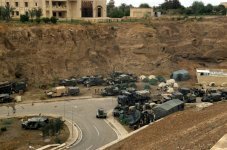 Troops of 1st Brigade of the 4th Infantry Division worked 18-hour days to ensure the base camp was ready for the extremely important selection process. 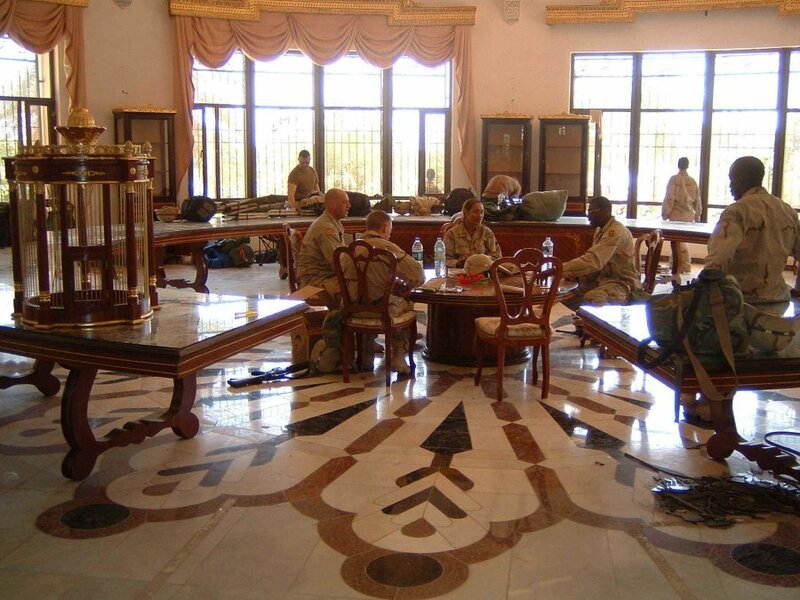 Their work is the underlining reason why FOB Raider was the best looking, most secure, base camp in country. 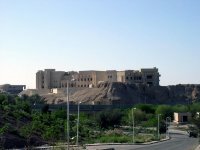 Additionally, HHC personnel that work in the Administration and Logistics Center (ALOC) at FOB Packhorse performed an outstanding support role that helped make FOB RAIDER what it is today. The presence of the Iraqi Civil Defense Corps (ICDC), whose first mission will be assisting US forces with the security of FOB RAIDER during the government selection process, represented one of the first steps forward in Iraq-US Military operations. On 14th December 2003 soldiers from the 4th ID captured Saddam Hussein in a spider on a farm in his home town of Tikrit. 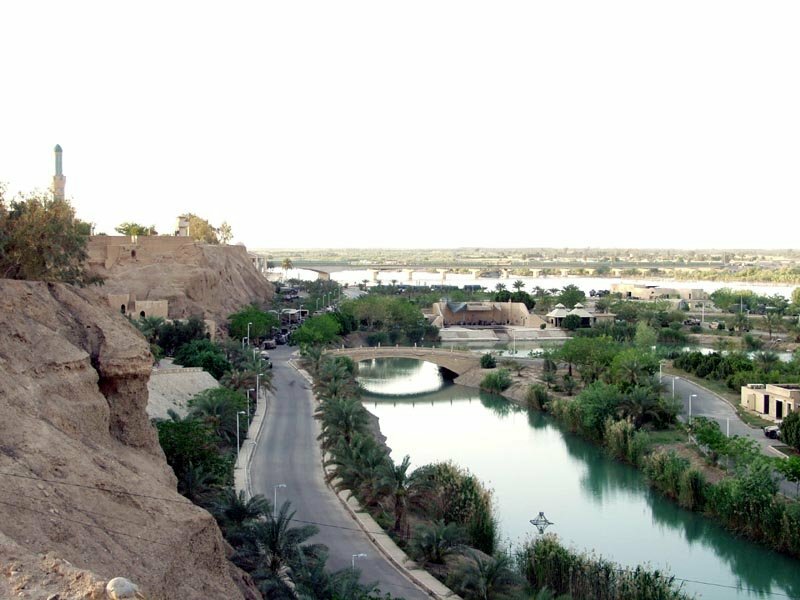 In March 2004 at FOB Raider, two brigades from the 4th ID held a TOA about six miles from where soldiers captured Saddam Hussein the previous December. The 1st and 3rd Brigades transferred authority of FOB Raider to the 1st ID's 2nd Brigade. 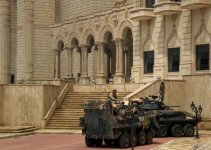 Of interest, standing at the main gate of FOB Raider is a World War II Sherman tank, captured and restored by soldiers of the 1st Brigade Combat Team. The tank was found along a main highway, at the beginning of the war, near Forward Operating Base Speicher. 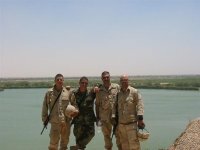 "To the Iraqis, it was a symbol of superiority over our armor based on what they thought America had", said Capt. Andy Sanchez, commander for 1st Brigade Headquarters and Headquarter Company, 4th Infantry Division. With its pristine hull, original engine and full compliment of weapons, the vintage Sherman is an eloquent symbol of pride for the soldiers of the brigade. Reported in December 2003, the First Brigade Combat Team, 4th Infantry Division, opened a 20-computer high-speed Internet station, consisting of private wooden cubicles, at Camp Raider for soldiers to e-mail or instant message those back home. While spending a whole year deployed, it is understandable that soldiers will need to take some time to relax during the deployment. 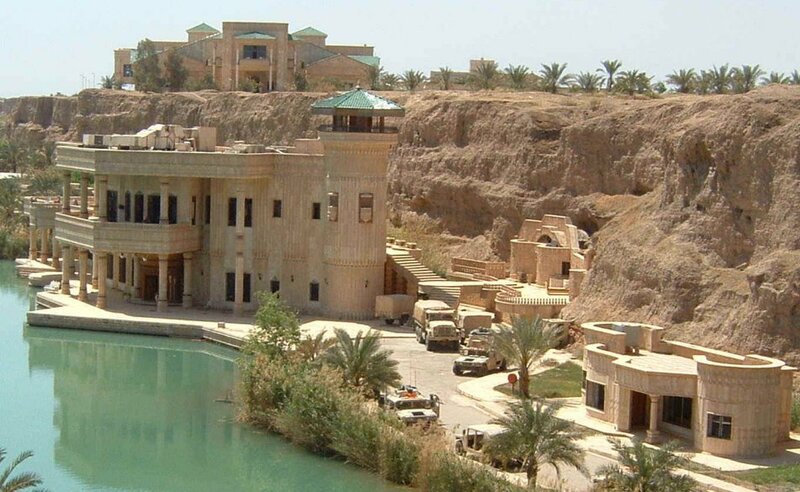 A new facility has been set up at FOB Dagger to help maximize that time for the soldiers. The new Morale, Welfare and Recreation facility is fully equipped with air conditioning, two big-screen televisions with surround sound, six smaller televisions connected to Play Stations, board games, kitchen, fussball, books, and magazines. One night per week, Spc. Seeholzer hosts a Halo night, a first person shooter video game. Approximately one dozen soldiers arrived for the first night's 'shoot'em up action'. They are considering movie nights in the future. 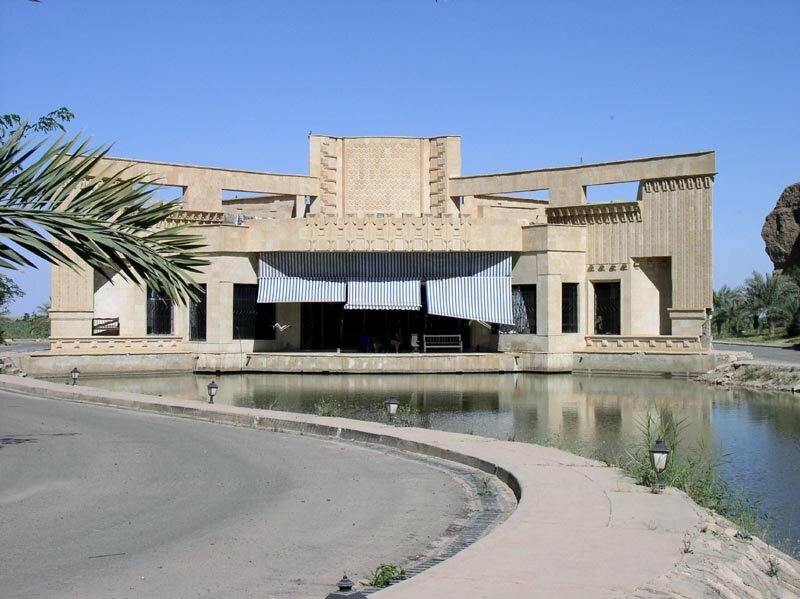 The Iraqi government took control of Saddam Hussein's palace complex from Coalition Forces in a historic ceremony on November 22nd 2005.